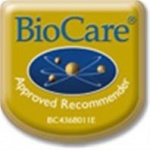 BioCare OptiZinc - Zinc is one of the most important nutrient sfor maintaining skin, hormonal, immune & reproductive health. 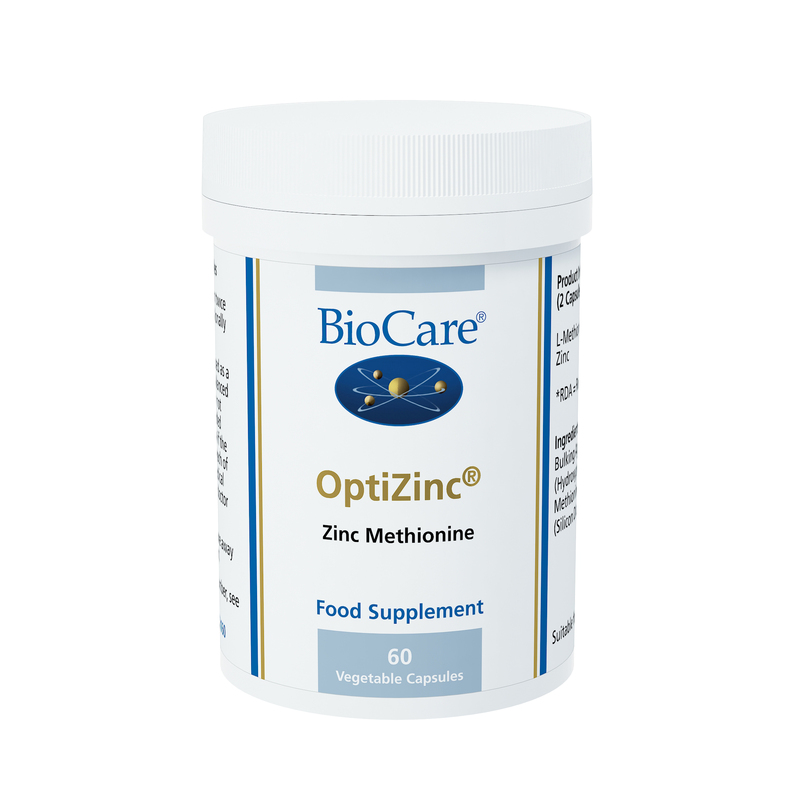 Zinc methionine exhibits a superior absorption rate. Studies show that zinc methionine exhibits a superior absorption rate when compared with many other forms of zinc. OptiZinc has demonstrated potent antioxidant activity which is almost equal to that of vitamin E. OptiZinc provides a superior source of bioavailable zinc. OptiZinc resists binding with dietary fibre and phytic acid. Zinc is necessary for sense of taste and smell. Zinc is required for the formation and activity of insulin. Zinc is an antioxidant mineral, essential for many vital enzymatic processes. Zinc is needed for a healthy reproductive and immune system, for tissue renewal, maintenance of the skin and for healthy bones and teeth. Zinc helps maintain the function of the liver and the release of vitamin A.
Zinc is required for the development of the skeletal system, nervous system and for brain function in the growing foetus. Methionine is an amino acid with antioxidant activity which assists detoxification. Methionine aids the metabolism of Omega-3 essential fatty acids. Suitable for individuals with malabsorption and poor zinc status. L-Methionine 34; Zinc (from OptiZinc) 14mg (93.3%). Contra-indications: None known if Nutritional Supplement Recommended Intake is followed.